Encompassing Amazon jungle, Andean highlands and the wildlife-rich Galápagos Islands, there is so much Ecuador (and Galapagos!) sightseeing to do with Travelsphere. A good place to begin exploring this stunning South American country is Quito, the capital, known for its largely intact Spanish colonial centre and UNESCO-listed Old Town. Of course, a spot of island-hopping has got to be done; how else can you expect to see giant tortoises roaming freely?! With so much to see and do in Ecuador and the Galapagos, you're in for a real treat. If it’s an unforgettable holiday experience you want, Ecuador and Galapagos escorted tours with Travelsphere are sure to deliver. Island-hopping across the Galapagos, with Ecuador as your starting point, may be just what you need. Guaranteeing adventure and excitement aplenty, Travelsphere has handcrafted its Ecuador and Galapagos holiday packages to suit travellers with all sorts of interests. Whether you're a wildlife fan wanting to see as many new species as possible or an admirer of markets looking to shop at one of the biggest and best in the whole of South America, you're sure to make some truly spectacular memories. 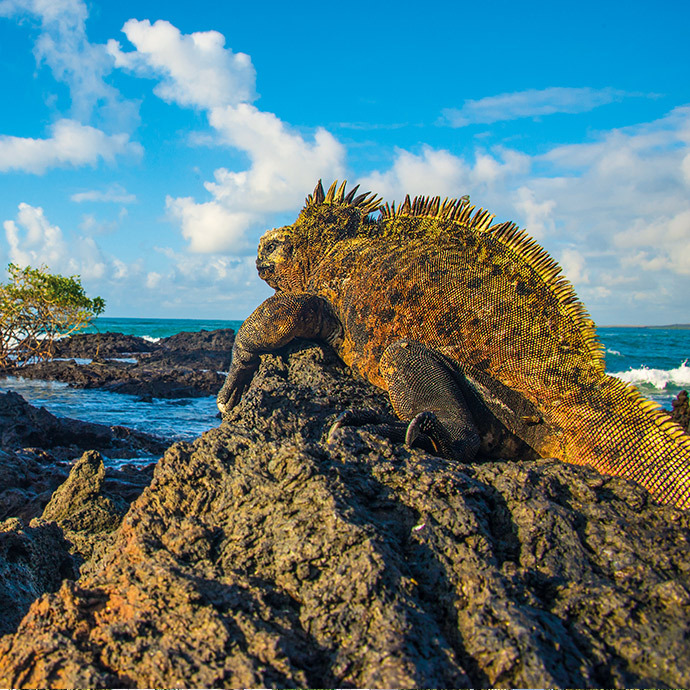 Visit Ecuador and the Galapagos Islands with Travelsphere and enjoy yourself in ways you never thought possible. Straddling two hemispheres, Quito is one of the best-preserved cities in the America’s – make sure you make the most of your time in Ecuador’s capital….